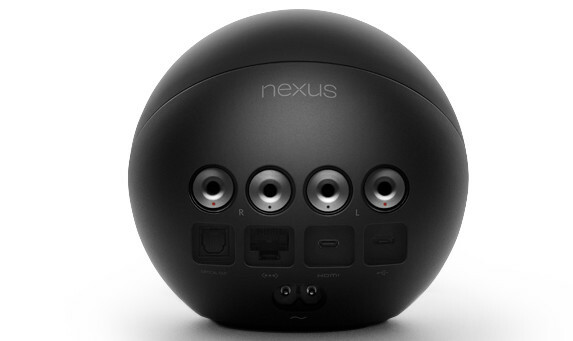 Google has unveiled the Nexus Q, a curious, minimalist, streaming home entertainment hub packed in a 4.6 inch sphere. Described as a “cloud-connected jukebox where everybody brings their own music to the party,” Google’s new streaming media player looks like a mix of Star Wars and Kubrick’s 2001, with its none-more-black shell and colourful LED strip on its equator. 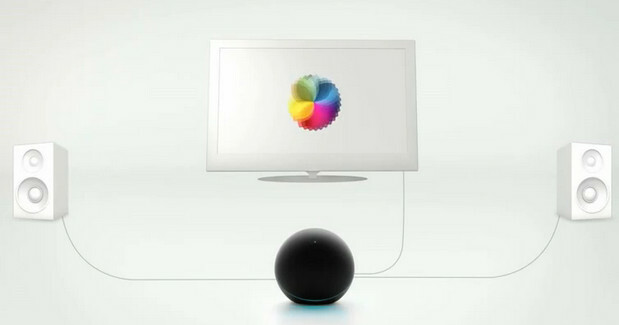 Nexus Q streams your favorite entertainment directly from the cloud to your living room. Just use the Google Play and YouTube apps on your Android phone or tablet to surf an ocean of music, TV, movies and music, and Nexus Q will play it all on the biggest speakers and screen in the house. There are no downloads, no syncing, no running out of space. Just the stuff you love — at home and out loud. Lurking inside the sphere is a small, Android-based computer that is permanently hooked up to a user’s Google cloud content, with Android 4.1 Jellybean devices being used as the remote control. If you’re hosting parties, anyone with an Android tablet or handset can add their own music, movies and videos, although owners may soon feel inclined to turn off the ‘guest’ feature when the S Club 7 starts to blare out. Inside the orb can be found a Texas Instruments OMAP chipset and micro HDMI, NFC and Bluetooth. There’s support for Ethernet, optical audio output, micro USB and standard banana jack speaker outputs. There’s also a built-in ‘audiophile-grade’ 25W amplifier, so it can be attached directly to a pair of bookshelf speakers. At the moment, only the Nexus 7 tablet works with the Nexus Q, but Google say that tablets and handsets running earlier versions of Android will also work with the streaming media player. The Q will be retailing for $299 in the States, but there’s no news about a UK release, as is often the case with new Google releases.